We've talked a bit about how vital yeast is to the beer brewing process which got us thinking about how many brewers choose to mix and match yeasts to the different kinds of beers they want to make. This comes at a cost though - yeast can be a fair cost component of brew day. So to save some cash money some brewers choice to re-use the leftover yeast that remains in the 'trub'. You might think, that stuff at the bottom of the fermenter is just a whole lot of gunk and no good to anyone. Cashed up commercial breweries recycle and re-pitch yeast, so why don't you? Washing your leftover yeast to reuse it in another batch is a great skill to have in your back pocket as a homebrewer. Yeast washing is actually a fairly simple process where the goal is to separate the remaining live yeast from the residue of the trub being mostly hops and spent grain. Your final goal is to make a yeast starter so that you do not need to purchase yeast every time you brew. You are not really washing the yeast, you are basically decanting it from the other hops and residue in the trub. Mix the trub with about 1500 mls of water in an easy to pour container such as a conical flask. Let the slurry settle and it will settle - the yeast and water will form a layer over the top and the debris will fall to the bottom. Decant the 'creamy' yeast level into a clean container. Draw or harvest your yeast sample from your primary fermenter as it contains more active yeast than what would be in a secondary fermenter (if you actually used one). Once the beer has been racked for kegging or bottling it's time to begin the harvest. There will be a layer of trub and it needs to be liquefied somewhat to make it easy to work with, so add some clean and sterile water. Take your 'slurry' swirl it up the slurry and decant it from the fermenter it into sanitized containers. Properly cover them tight and store those in the fridge. Each container should enough yeast to ferment an average 23 litre batch of beer. If you use one of the containers in the next 3 weeks or so, you can use it directly without any other preparation as the yeast will still be quite active. Pitch in the normal manner. If you are using yeast beyond a three or four week period, you'll do well to rouse the yeast from its slumber. Place the slurry into a starter container and add a quart or litre of fresh wort to "wake it up" before using. Warming it to room temperature will help too. Can I just add fresh wort to the trub? You sure can, but if you intend to recycle yeast over and over, you're going to get a lot of trub left at the bottom right? So this practice might work better if you add a properly cooled fresh wort over the trub of a secondary fermentation. Give the new solution a bit of a stir so that the yeast finds its mark. Why should I recycle my yeast? The big commercial breweries do it to save money and it's an efficient process. 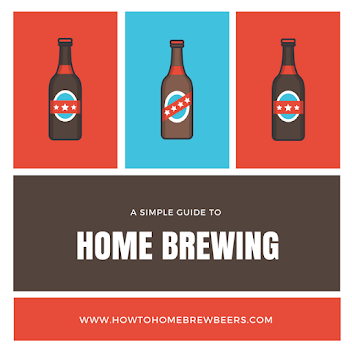 For the homebrewer the best reason to do this is so that you 'jump start' your next brew with a much larger pitching cell volume. This means you will give your beer an excellent start at fermentation and a likely reduction in the occurrence of strange smells and flavours in your beer. How many times can I recycle my beer yeast? Many commercial brewers reuse yeast for several fermentation cycles - and we've heard stories of going through to 40 or 50 batches. How they do this is by pumping the residual yeast via the bottom of one fermenter into the waiting and ready lump of steal and repeat. Trial and experience will dictate how well you go. The better you sanitize your equipment and care for your yeast, the more viable it will be. Conical fermentors make access the trub easy. Given it collects at the end of the cone, you can simply remove it by opening the valve and emptying it into a clean collection vessel.